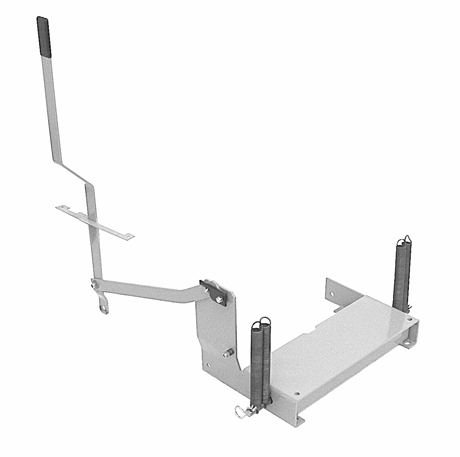 Standard-duty front mounted hitch for manual lifting. Complete with dual “lift assist” springs, lift handle and all hardware. Comparison for judging ability of “lift assist” springs: 3 lbs. of force on handle will raise 95 lb. Dozer Blade; 58 lbs. of force will raise 50 lb. BM13 Bucket Mouth with 186 lb load…that’s a combined lift of over 330 lbs! Allows dozer blade to manually angle 26° left & 26° right.